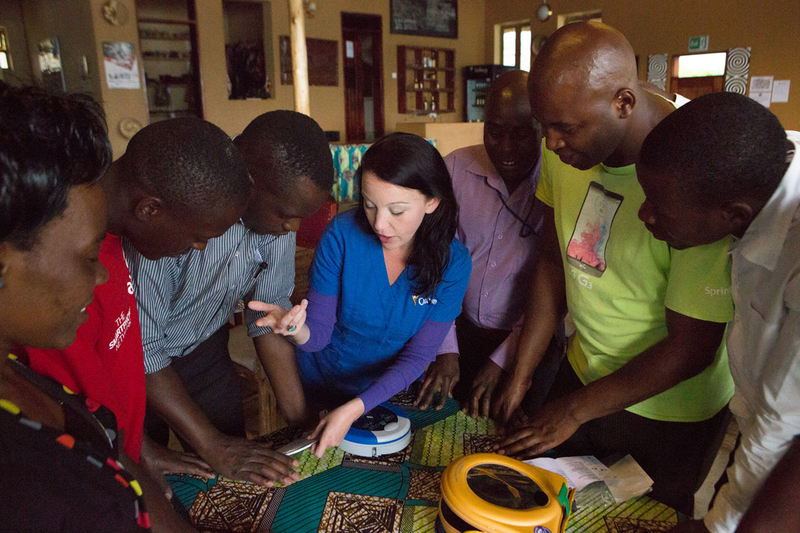 Few of us jump at the opportunity to bring about positive change through hands-on work in communities around the world. But for deputy-sheriff-turned-nurse Jessica Adams, it is a dream come true. Whether it’s volunteering to help victims of Hurricane Katrina, offering medical services in the Dominican Republic, or even supporting local groups in her hometown in Florida, Adams is passionate about using her expertise as a nurse to educate and empower. Though she graduated as a political scientist, Adams turned to nursing following her experience working with a youth development organization in New Orleans. She intended to pick up some practical skills, but had no idea that her new career would become a huge part of her identity. 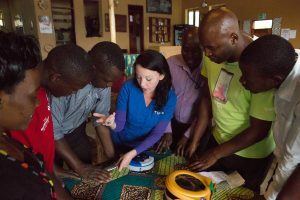 Through humanitarian trips, Adams has traveled widely within and outside the US, serving in regions that do not have easy access to healthcare facilities and resources. 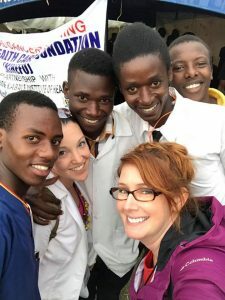 She works as a medical volunteer with the Global Livingston Foundation, an organization that helps organize the iKnow festival, a series of music concerts focused on HIV awareness in Uganda. The annual event, now in its 5th year, aims to reduce the stigma surrounding HIV and promote sexual health awareness. Adams, along with a team, offers on-site tests, medical examinations and counseling. Last year, to assess the impact of the festival, her team did a pilot study, but found that a standard assessment tool could not be applied to the geographically and culturally diverse communities in the area. They needed a more rigorous study design and had to be certain that they were adopting the right statistical techniques. They were also on the verge of applying for various nursing research grants and wanted to make a strong case for it. In late 2017, Adams sought help from Kolabtree to find an expert who could help them randomize and stratify their study, while also verifying that their data collection methods and sample sizes were accurate. She successfully consulted with a highly experienced interdisciplinary scientist, Dr Dlorah Jenkins, who had extensive experience in data collection analysis and design. Though the deadline for the project was six weeks, Dr Jenkins provided Adams and her team with a robust and reliable design for their study within ten days. Thanks to this, Adams’ team was able to apply for several nursing grants on time. They were also able to apply for continued funding from the AIDS Healthcare Foundation. If awarded with a research grant, they will implement Dr Jenkin’s study design in their home base, Kabale, with a control community. Dr Jenkin’s model will not only help them accurately measure the effectiveness of their initiative, but can also be replicated in other places and with other health issues. We at Kolabtree are humbled to have played a role, however small, in facilitating a project that has the potential to change so many lives. We had the opportunity of interviewing Adams, who we believe has led a life far from ordinary. Here’s what she has to say about her unique career path, her work in Uganda, and the joy of giving back. 1. You’ve served in international settings such as the Dominican Republic and Uganda. What inspired you to work with vulnerable and under-served populations? My role as a Deputy for the Sheriff’s Office working in the jail focused on “care, custody, and control”. As a political science student at the time, I had really begun to look at the larger picture as it involved crime, punishment, mental illness, ethics, inequality, discrimination, stigma, and all of these interrelated issues that create and frame our societal problems. I didn’t feel like I was part of a solution to the problem at that time. I just felt like I was there to contain them, so to speak, and I wasn’t satisfied with that. 2. What has your experience being part of the iKnow festival been like? How have the concerts helped HIV-affected individuals? It has come with a giant learning curve! The process of international development can be very messy as you are working in unfamiliar settings and dealing with a mixture of various cultures and languages. The plan seems to come together and fall apart regularly and you just have to be flexible. Our work has helped selected communities in rural Uganda by creating an opportunity for many of the local residents to access free on-site HIV testing, as well as a growing number of other free health care services such as cervical cancer screening, family planning, male circumcision, blood pressure screening, and more. The event, itself, contributes to stigma reduction by normalizing the discussion surrounding HIV, condom use, and sexual health while reaffirming the idea that “knowledge is power”. Those that do test positive for HIV are immediately linked to care through our local NGO partners. 3. Your team is applying for an NIH grant. If the application is successful, what impact will it have on your work in Uganda? We actually didn’t end up applying for an NIH grant recently, although we remain committed to working up to that goal. Instead, we have applied for several nursing research grants, in addition to continued grant funding with some of our established partners such as the AIDS Healthcare Foundation. If funded via the nursing research grants this year, we plan to undertake a study designed to measure the impact of our work on stigma reduction in our home base community of Kabale — where we have produced the “iKnow” HIV Awareness Music Festival for 4 years now — with a control community that is not familiar with our initiative. Being able to show that our public health model is an effective stigma reduction intervention will be a huge step toward our goal of establishing what we do as a successful model for replication for use in other places and with other health issues. 4. You’ve had an unusual career path – from sheriff to nurse to doctoral student. We’d love to hear more about your journey. I actually came to New Orleans as an AmeriCorps volunteer following Hurricane Katrina. I had just graduated with a degree in Political Science and I knew by that time that it was time to move on from law enforcement. I came here and worked with an organization called YouthBuild which assists at-risk youth by teaching trade skills and helping them work towards their GEDs. It was a good experience, but the funding for the program ran out. I realized that my law enforcement experience did not really translate into many other skills that were useful in this community as it was in the process of rebuilding. This was actually the same time as the economic recession. I chose nursing, not only because it was a solid set of practical skills, but also because I believed I would be able to find a job in a job market that was unreliable at the time. Even though the move was a calculated one for me, it ended up being the best thing I could have chosen to do with my life. I never expected to love nursing the way that I do. It’s really remarkable how fast being a nurse became interwoven into my identity. It’s who I am now. 5. How can other medical professionals get involved in reaching out to under-served communities? Volunteer! In my experience, there is always, always, always work for people who are willing to do it. I volunteer locally with an organization called Street Medicine which delivers healthcare and attempts to connect those in homeless communities to needed services. I also belong to numerous professional organizations and have been becoming more involved in health policy by serving on boards, commissions, etc. It is absolutely imperative for us to have a voice in these times. 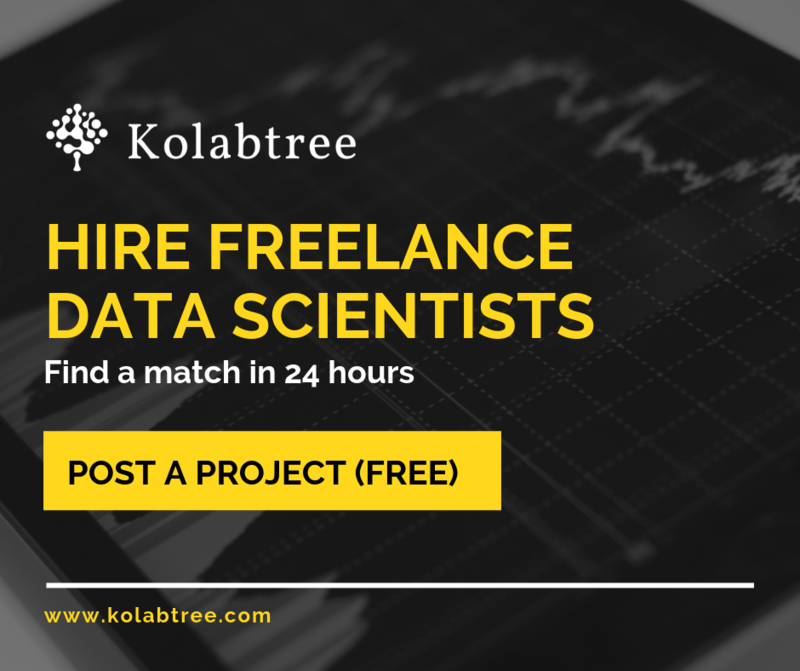 Kolabtree is a platform that believes in making the expertise of scientists accessible and affordable. This is a project that we feel demonstrates clearly the the power of cross-border collaboration. You can support Adams’ work here.